As all of our customers know, we offer a variety of ingredients that support the desire for achieving soft focus when using our mineral makeup products. However, there is more to enjoying soft focus with our mineral powders, since it is also about understanding what exactly this means. Understanding to what degree is soft focus truly achieved is important to know to avoid the misnomer of this claim. Soft focus using mineral makeup is designed to soften lines and to blur life's imperfections, making us look youthful and revitalized. Our minerals offer soft focus liken to the lens on a camera. They create the illusion of perfection through micro-spheres that temporarily fill and soften lines and large pores, while the minerals help refract light (bounce back) on the face. The desired effect is typically enjoyed from several feet away or more. There is not a single mineral makeup product or any other cosmetic on the market today offering soft focus properties which can withstand scrutiny up close or when using a magnifying mirror. The perception has been that if we use mineral makeup products purporting to offer soft focus, that we are absolutely flawless under any and all conditions. Another example of losing soft focus, is getting up close and personal with digital photography. With this fabulous technology available today, there is no hiding the skin blemishes without a touch of photo-shop unless the photo is taken from a few feet away. 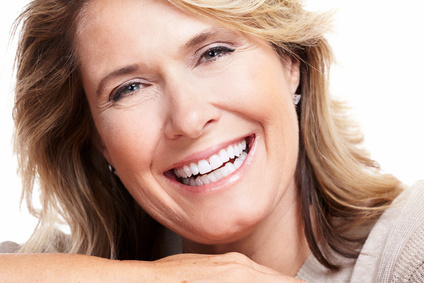 A woman at age 50 or older, may require some distance from the camera which gives her softer focus with seeing just a hint of her fine lines around her eyes and mouth. In this instance, her choice of makeup works for her. However, getting extremely close up, creates sharpness to the photo and her lines are now more defined, though she is still quite beautiful. What also is important to avoid, is highlighting lines so they become runways to emphasizing our age. This is accomplished when using mineral makeup products that don't creep or shift into the lines or wrinkles on our faces. This is the beauty of our mineral powders, they will not creep or budge once set on the skin after they are applied properly. Soft focus is achieved when using our mineral makeup formulas. A mature woman can enjoy the overall experience of looking youthful and invigorated, while also understanding this look is enjoyed from several feet away, the equivalent of the hand we offer that new person we greet in the form of a handshake. Beauty Tip For Aging Skin: As women mature and we develop more lines and wrinkles, extra care should be taken to buff well around the lines since due to the polymer line filling nature of our minerals, they can collect in these areas during application. Less is ALWAYS more! For Example; around the eyes be sure to get wide eyed to smooth the lines. With any lines above the mouth, be sure to stretch this area over your upper teeth, allowing you to remove excess makeup that may have gathered there. Blurring is fabulous, but can be negated if too much product remains in the lines around our mouth or eyes. For Enlarged Pores: Some women believe that more is better when trying to cover large pores when actually this will make them appear worse. Since large pores are typical of aged and / or oily skin, too much mineral makeup will pool at the base of the pore. To improve the appearance of large pores of the face, only apply with concealing coverage for areas of the face that need it, such as rosacea, scarring and sun damage. Then go with a lighter touch everywhere else since the same layer of minerals does not need to be applied all over. And bottom line, to improve the appearance of large pores, it begins with an excellent skincare regimen. Additional Examples: Or you can go to our YouTube page and visit Katherine using her minerals. She was 52 years old at the time of filming these, and there are plenty of before and after shots so you can see the difference with and without her mineral makeup.